Maybe it’s your grandmother who was born there; or it’s Francie Nolan, whose coming-of-age story, told in Betty Smith’s novel A Tree Grows in Brooklyn, depicts early 20th-century Williamsburg. Could be the DIY movement, gentrification or plaid shirts. Whatever your impression of Brooklyn, it has a thriving and quickly expanding beer scene. During this weekend you’ll taste a range of Brooklyn beer, whether that’s new brews or long-time local favorites. You will experience how different bars and breweries can be from one another, even if they’re in the same neighborhood. And be sure to pack comfortable shoes–you’ll be doing a lot of walking! 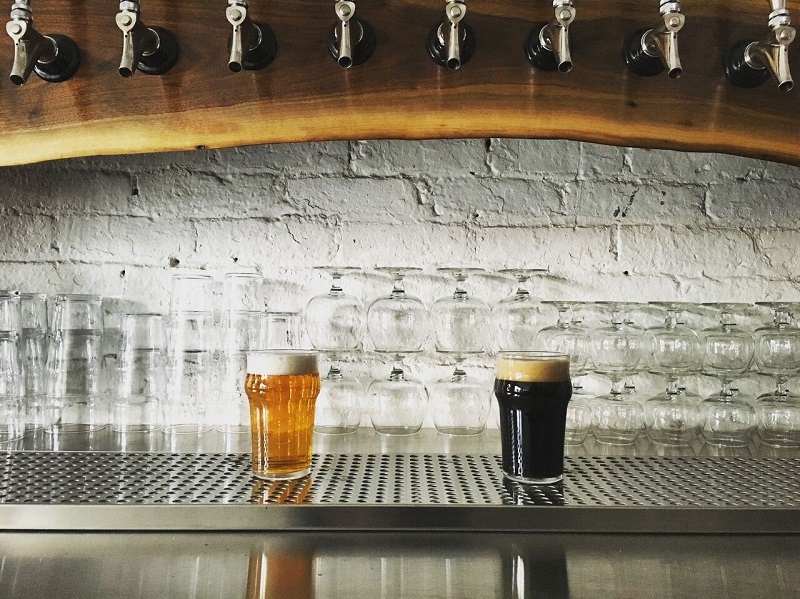 Begin your adventurous weekend in Greenpoint, Brooklyn’s northernmost neighborhood, at brewpub Keg & Lantern Brewing Co. (97 Nassau Ave.). When you walk in the door, one of the first things you’ll see is a wall on your left covered in vintage beer cans. 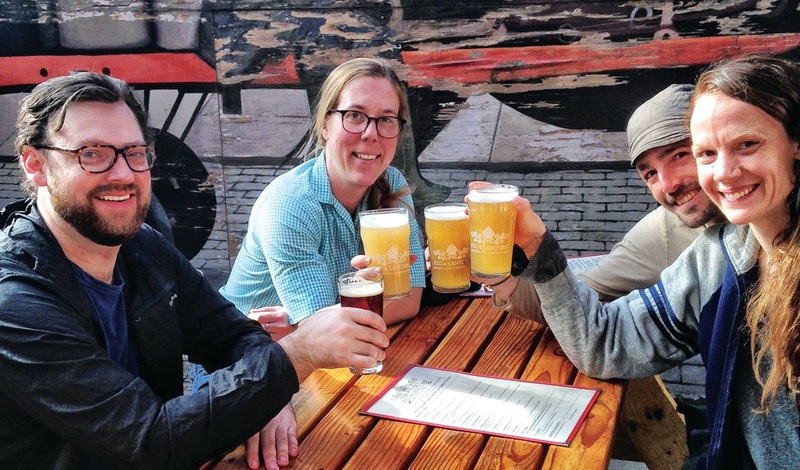 Kiwit, a coriander-spiced Belgian-style wheat beer with New Zealand Motueka hops, shares a menu with Golden Ale, which, the menu clearly indicates, “drinks like a light lager.” Sidle up to the long, curved bar, or sit at a picnic table in the back patio. Choose from a menu of comfort and pub foods like grilled cheese, nachos, waffle fries and burgers (brisket, turkey or quinoa veggie). Just around the block is Tørst (615 Manhattan Ave.), opened by Evil Twin Brewing founder Jeppe Jarnit-Bjergsø and Chef Daniel Burns, who has worked at Noma and Momofuku. Beautiful oak wood tables and walls complement a striking—and spotless—white marble bar. Take a seat and check out the Flux Capacitor, a custom draft system that keeps each tap line at its proper temperature and pressure, and order a pour. Choose 5, 8 or 14 ounces, and pay accordingly. At the back of the bar you’ll find a door to Luksus. With only two seatings a night on weekends, this Michelin-starred restaurant offers a prix fixe tasting menu. Make The Diamond (43 Franklin St.) your next stop. This bar has a laid-back atmosphere, an indoor shuffleboard table and a cable car gondola you can actually sit in, located on the back patio. Peruse a beer list categorized by ABV and select something sessionable, as the night is still young. Snack on a savory pie or cheese plate. Just a short walk away is Greenpoint Beer & Ale (7 N. 15th St.), formerly called Dirck the Norseman. Grab a table or a seat at the bar, the focal point in the center of the space. Beers have included a London porter, coffee Berliner weisse, and a sour amber farmhouse made with New York State apples. Survey the menu and order at the food counter. 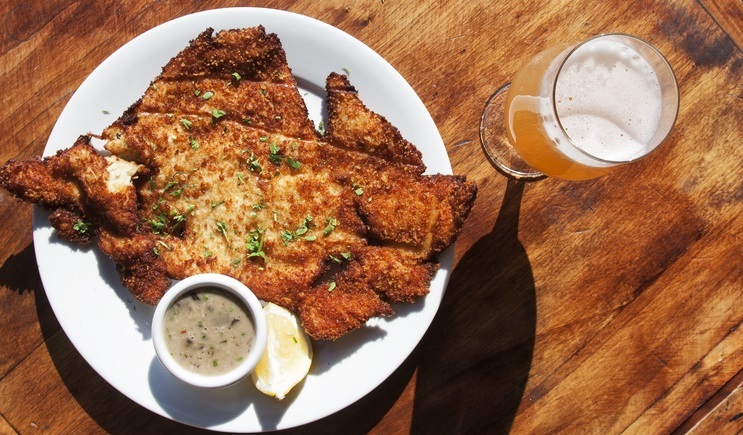 You can’t go wrong with chicken schnitzel, crawfish mac and cheese, or vegetarian moussaka. 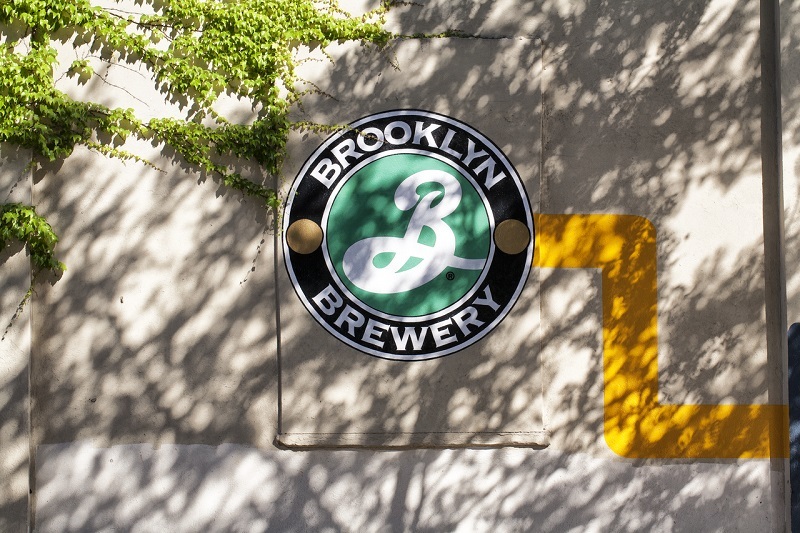 After that, find your way to Brooklyn Brewery (79 N. 11th St.). 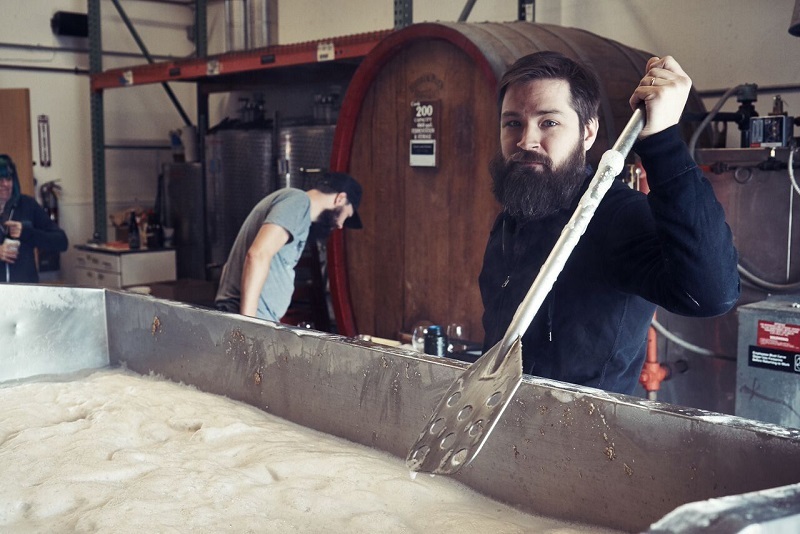 Founded in 1988, the brewery made Brooklyn its home before it was cool. This location in Williamsburg helped revitalize the neighborhood and make it a destination for locals and tourists alike. Purchase tokens at the gift shop to use at the bar. On tap you’re likely to see a few mainstays and some limited releases. Try Sorachi Ace, 1/2 Ale or the most recent Brewmaster’s Reserve beer. Enjoy this brewery while you can—a new facility is being built in the Brooklyn Navy Yard, projected to open in 2017. Still going strong? Take a cab to Barcade (388 Union Ave.). In the cavernous space you’ll find classic arcade games from Tetris to Pac-Man to play while choosing from a selection of American-made beers, may of them local. Ease into your morning with a laid-back brunch in Crown Heights. Neighborhood favorites include Mayfield (688 Franklin Ave.) for dishes like eggs Benedict, beef tongue hash or house-smoked salmon, Chavela’s (736 Franklin Ave.) for huevos rancheros or other Mexican offerings and Barboncino (781 Franklin Ave.) for breakfast pizza. Spend some time at one of Brooklyn’s cultural institutions, the Brooklyn Museum (200 Eastern Parkway) or the Brooklyn Botanic Garden (990 Washington Ave.), conveniently located next to each other. If it’s a nice day, choose the latter. Wander through the collection of cherry trees or the picket-fence-enclosed rose garden, or experience plants native to the area in the Native Flora Garden. Take a cab to your next stop, Strong Rope Brewery (574A President St.) in Gowanus. One of the borough’s newer operations, Strong Rope brews American- and British-style ales, often with local ingredients. The bar is at the front of a long, narrow room, and brewing equipment is set up in the back. If you arrive by 2 p.m., join a tour for $5. Just around the corner from Strong Rope is Mission Dolores (249 4th Ave.), a beloved pub in the neighborhood. Walk through the garage door opening, through an open-air front courtyard, back to the bar. Have a pint or two and play some pinball. Hop back in a cab or walk five blocks to Threes Brewing (333 Douglass St.). Taps rotate frequently at this brewery, but you’re not likely to make a wrong choice among the lineup of brews. Threes brings in a different restaurant in residence every few weeks, normally a local favorite. Past residents have included The Meat Hook, Roberta’s Pizza and Buttermilk Channel, so you’re sure to have a delicious meal. Hang out inside or head out to the secluded backyard. Pass growing hop bines on your way to a picnic table, gravel crunching underfoot. Rise early-ish and take a Manhattan-bound 4 or 5 train to Brooklyn Bridge/City Hall. Stroll back across the bridge. Pause for the obligatory selfie with the Manhattan skyline as your backdrop, then again with the Brooklyn skyline. Once back in the borough, descend a short staircase to the street and emerge onto Cadman Plaza East. Walk toward the river and you’ll find yourself in DUMBO, an acronym for the neighborhood Down Under the Manhattan Bridge Overpass. Stop at Almondine Bakery (85 Water St.) for a coffee and French pastry. Find a grassy spot in nearby Brooklyn Bridge Park to sit, eat and people-watch while looking out over the East River. Next, take a Coney Island-bound F at York Street to Smith-9th Streets. Walk two blocks to Other Half Brewing Co. (195 Centre St.). It’s in a nondescript building in an industrial area, under the Gowanus Expressway, across the street from a McDonald’s. Don’t let this scare you! Open the door to the small, dark wood-decorated taproom—it will probably be pretty packed. A local favorite, Other Half specializes in bold IPAs. Good places to start are Green Diamonds double IPA, Hop Showers or All Green Everything. 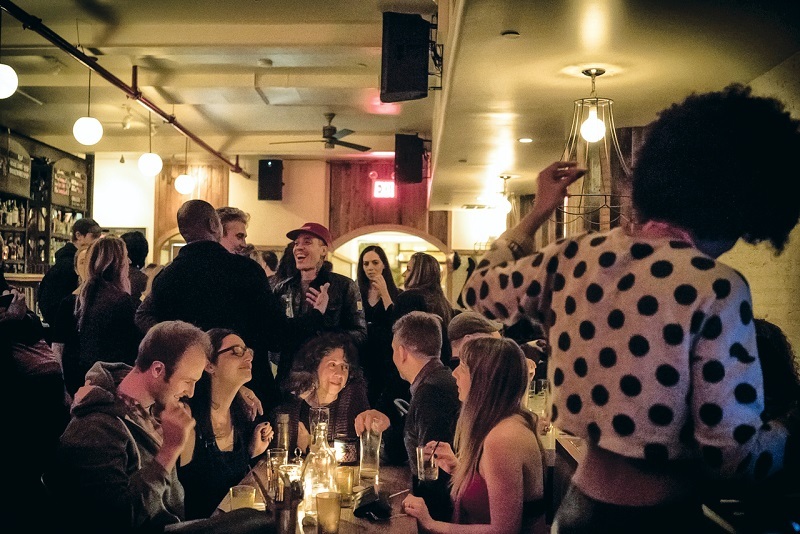 Hop in a cab and close out your weekend at 61 Local (61 Bergen St.), an airy bar with high ceilings. Snack on cheese, charcuterie or other eats made by local producers, and choose from a variety of local beers. Check out the map on the wall behind the bar, dotted with logos of breweries in and around New York State.